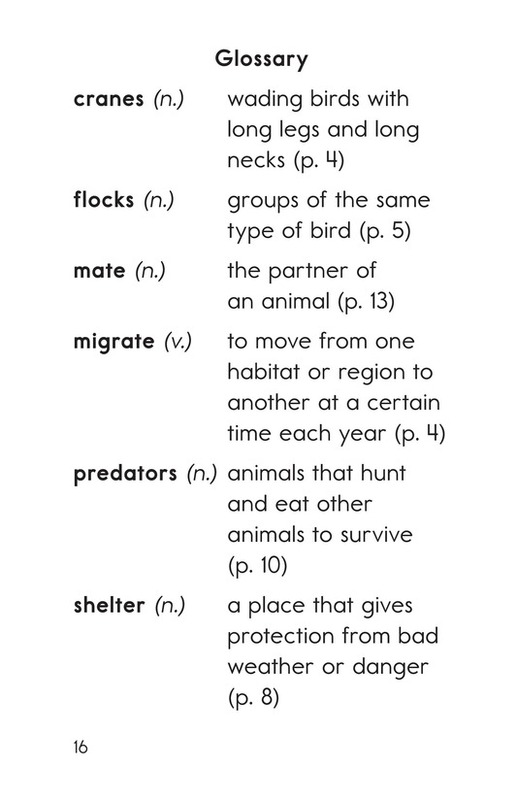 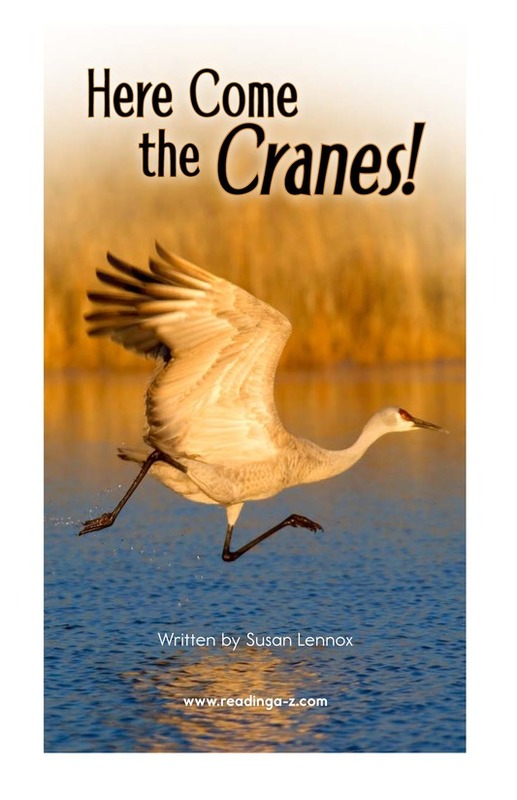 > Books > Leveled Books > Level I > Here Come the Cranes! 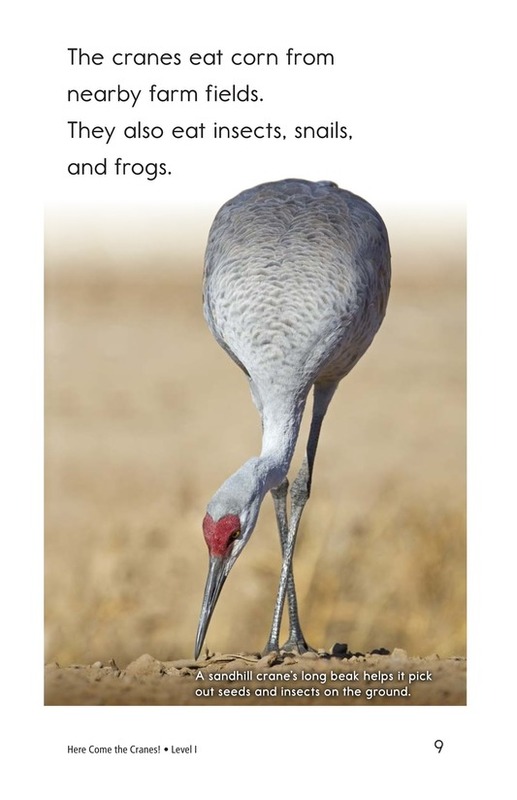 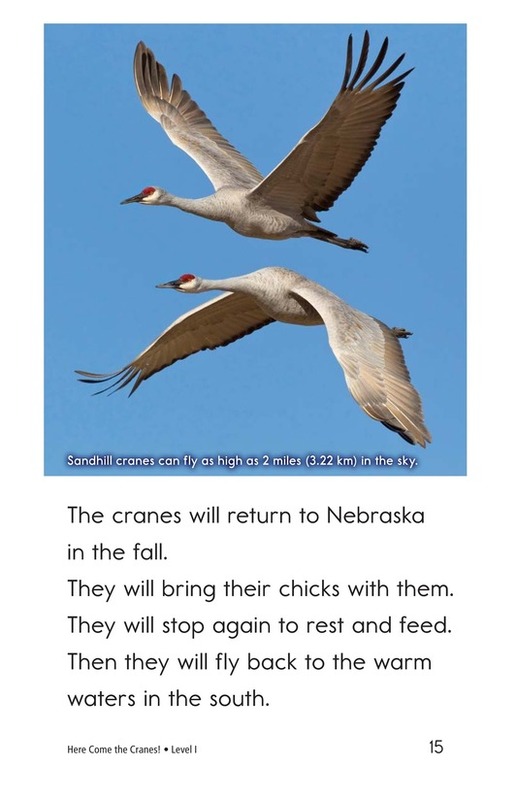 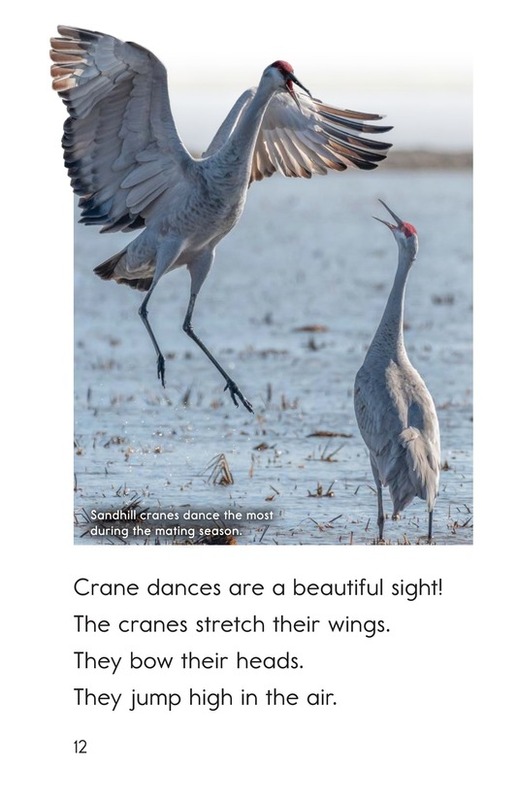 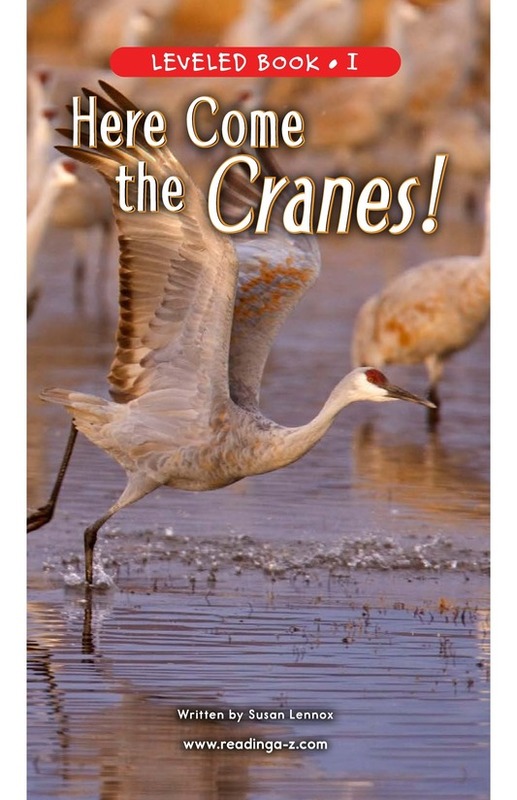 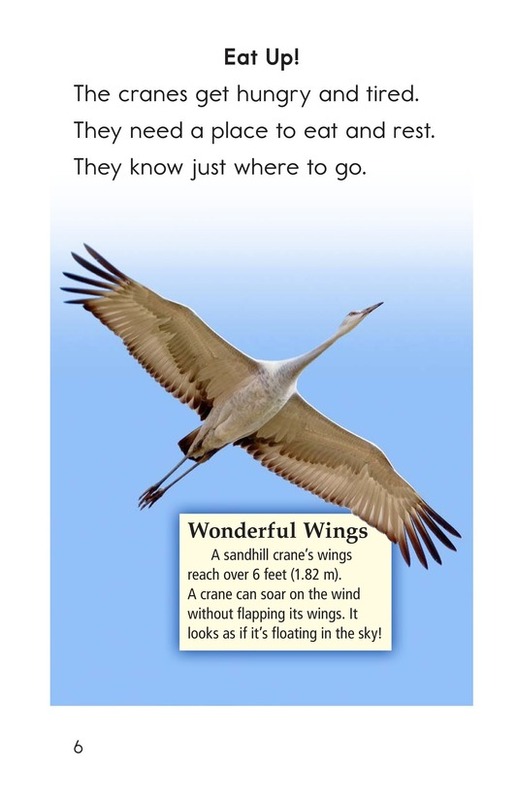 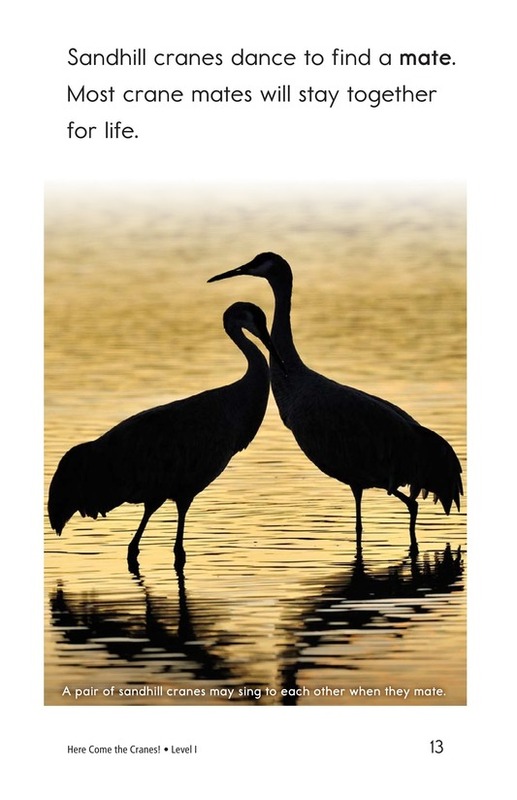 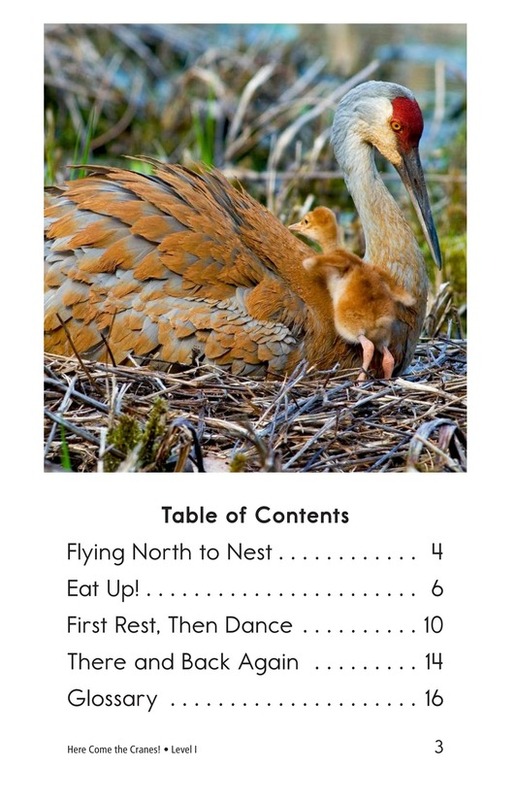 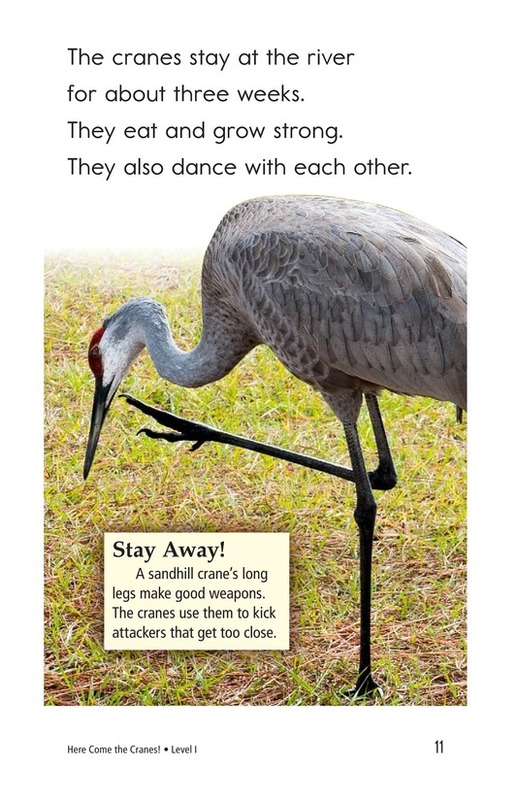 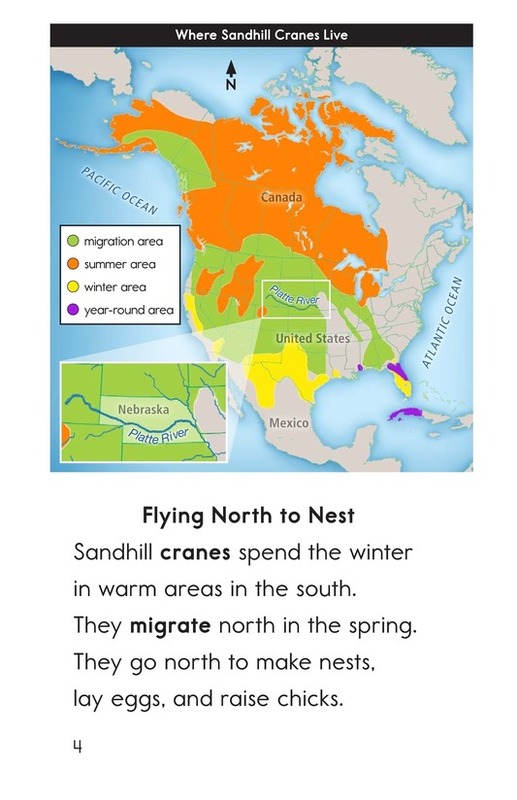 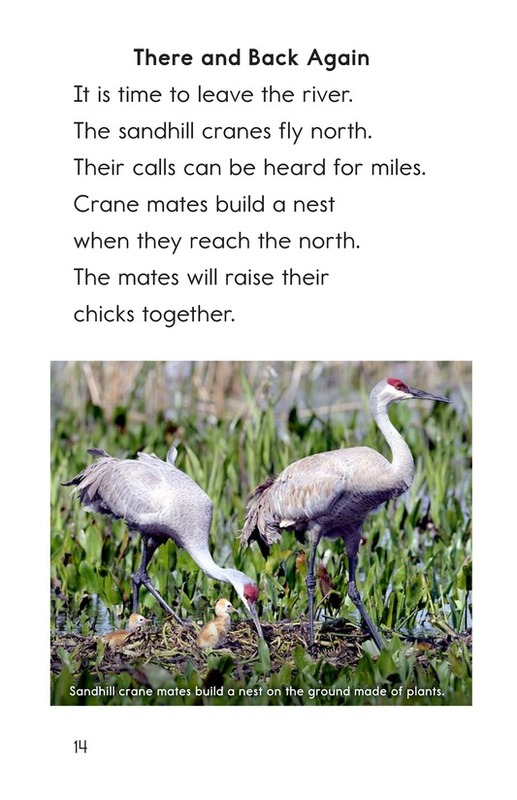 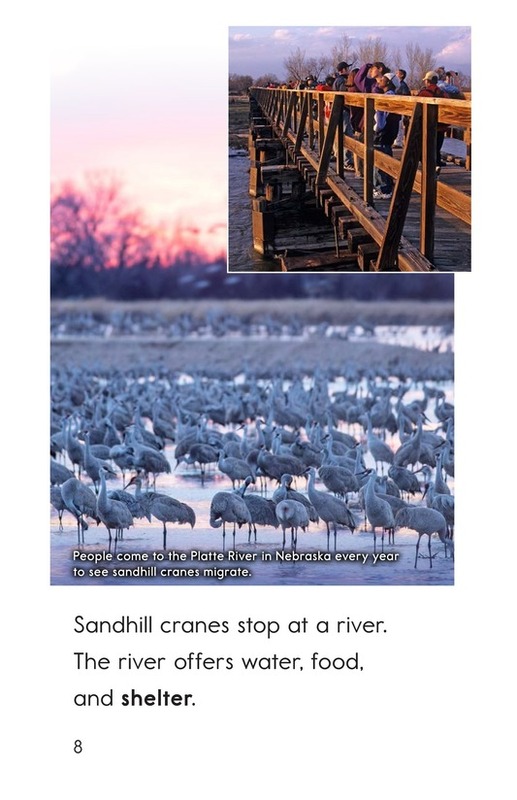 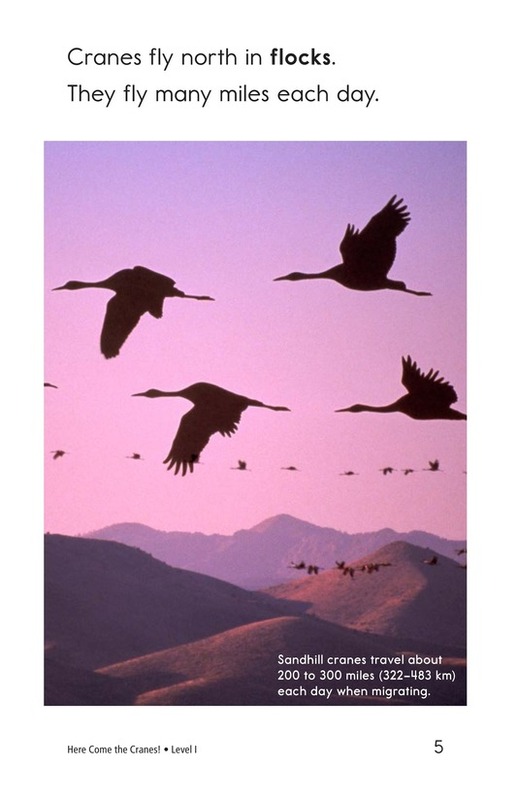 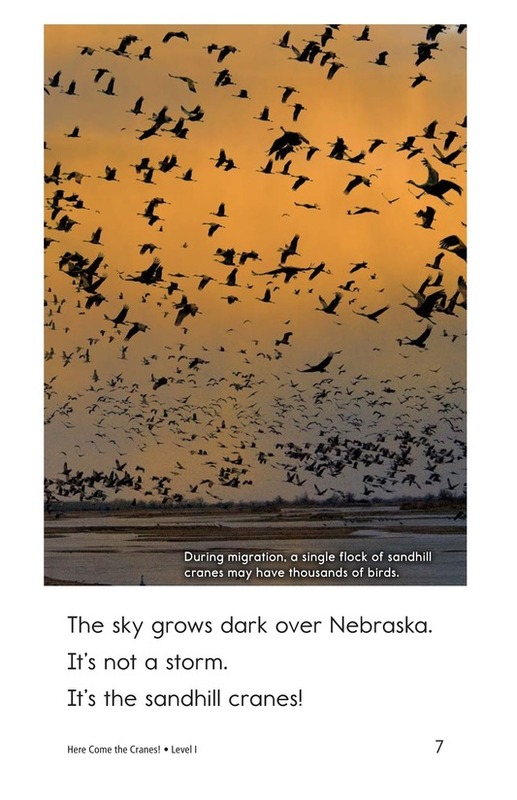 As students read Here Come the Cranes, they will learn why sandhill cranes make the long journey north each spring, and how they do it. 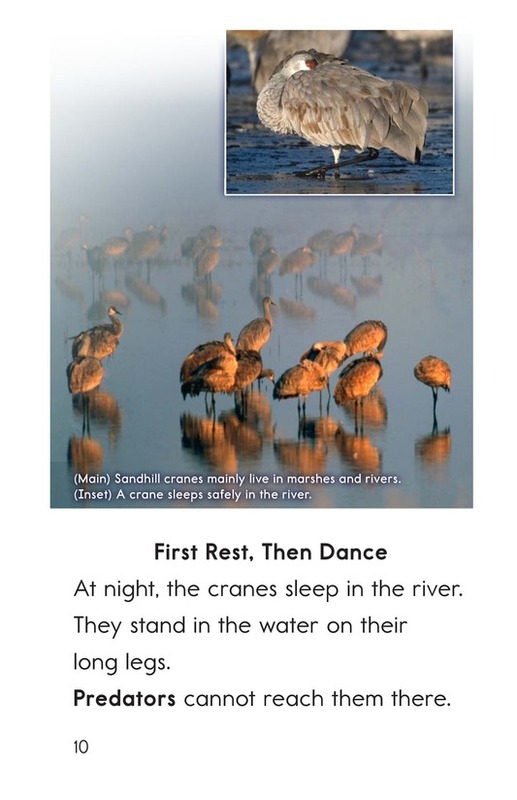 The beautiful photographs and descriptive captions will hold their attention. 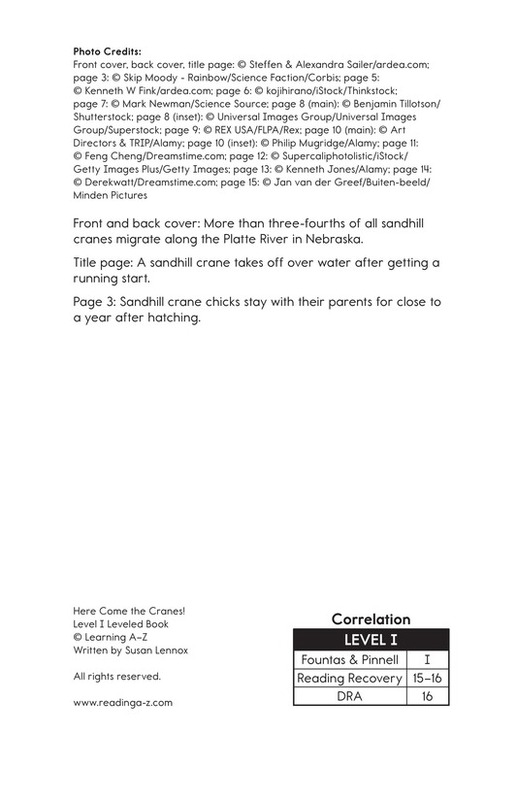 Use this interesting book to teach sequence of events and visualizing.